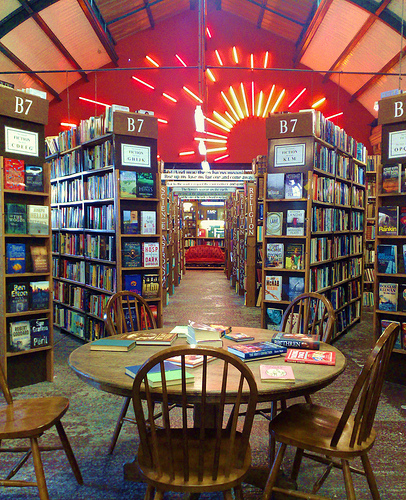 Barter Books in Alnwick, a charming Northumberland town, is often voted the best second hand bookshop in the country. 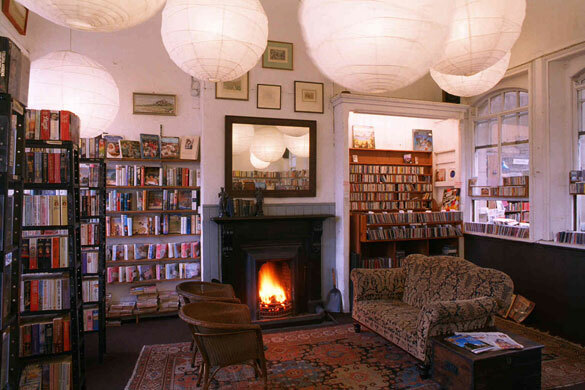 The bookshop is housed in the town’s magnificent old Victorian railway station where the waiting rooms have been converted into a cafe and cosy retro reading rooms. There you can settle to peruse the tome of your choice with a fresh filter coffee (serve yourself) and a homemade biscuit. The rows and rows of specialist old books occupy the station itself and are a testament to the successful premise of bringing in your own second hand books and ‘bartering’ them for a value which you can then spend in the shop on other desirable reading matter. The founders of Barter Books Mary and Stuart Manley started converting the Station in 1991 and there is no doubt that it is a labour of love. The shop has many unique features. The gorgeous open fires in the Winter, beloved by all and the Station Buffet serving good plain food, coffee, tea and cookies. There is even a model railway acting as a link between the book columns of the central room, along with poetry lines. In our world of clone towns and franchises, originality and delightful English eccentricity becomes both harder to find and of increasing value. 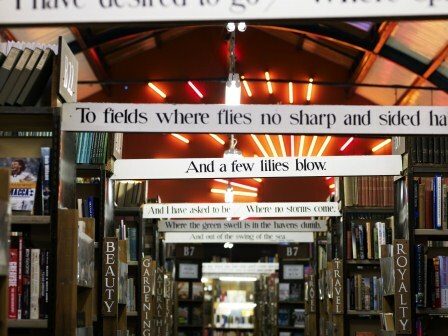 But Barter books has become internationally famous for the rare original WWII poster which was unearthed there after being forgotten for more than half a century. in a box of books bought at auction. 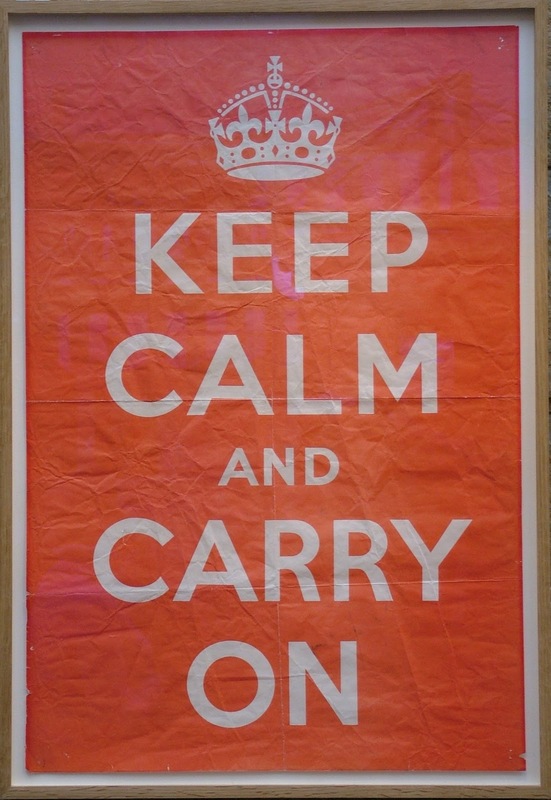 The sentiment, Keep Calm and Carry On – originally designed for a war time generation – seemed to somehow chime with the psyche of the besieged modern mind. 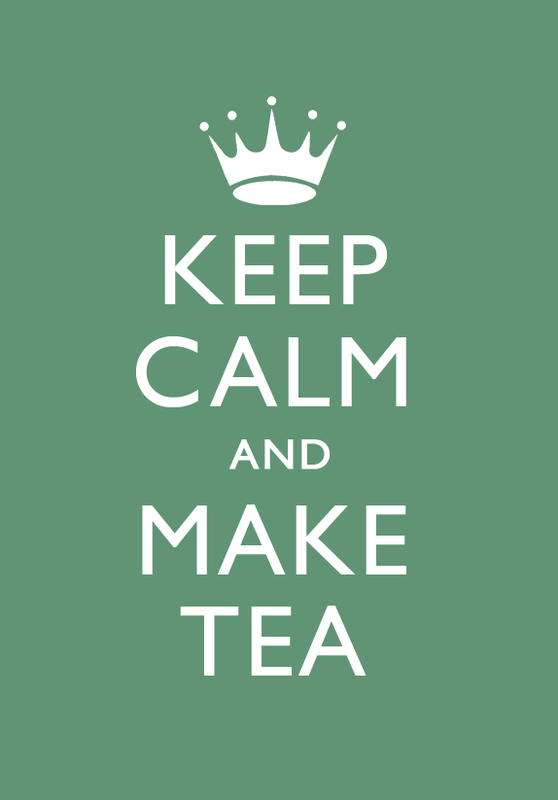 When the bookshop owners had the poster framed and put up in the shop, customer interest was so great that in 2001 the couple started producing facsimile copies for sale – copies which were soon copied and recopied to make the Keep Calm poster one of the first truly iconic images of the 21st century. Of course the modern world has borrowed it and reincarnated it a few time as well!